If you are looking for quality work, professionalism and a business consultant with work and educational experience on the resume; look no further. 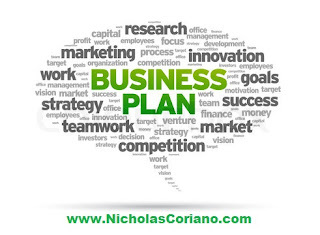 From the 4 Page concise business plan to the in-depth 30 page research report, my goal is your success. 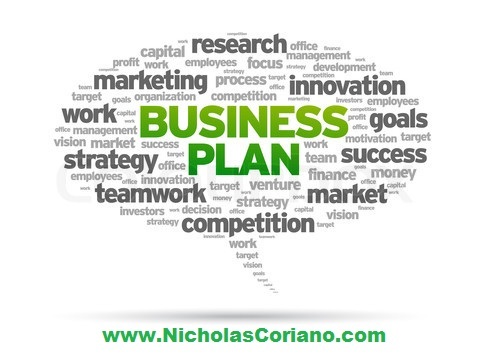 Nicholas Coriano (me) has been writing business plans for independent ventures for the last ten years and has gained traction on Wall Street as the foremost Internet Blogger Analyst on Micro Cap Companies. Whether you are a small start-up or a $100 Million Penny Stock company, your research has never been more affordable or accessible. In a time crunch to get your business plan done on schedule for a big meeting? At NicholasCoriano.com you can buy time and professional man power. My business plan delivery can be tailored to have a finished business plan in your possession within 48 hours of an order/initial contact. For more details shoot me a text or email me with your time constraints. My standard turn around time is 14 days which includes 3 consultations and an awesome well though-out and professional business plan. Need to go above & beyond the simple business plan for an investor? bank? an angel? The business plan I write for you can include S.W.O.T. Analysis, Cash Flow Statements, Break Even Analysis, Competitor Break Downs, and more. I am more than a Business Plan Writer For Hire! Success stories? My clients have gone on to attract investment, get approved for loans and visas and one even got on NBC's Shark Tank! You can see the pricing for my Standard Business Plan Writer Services here. Feel free to text me at ANY hour! Hope to hear from you soon.